Dylan Youngblood is a 6-year-old living in Woodstock, Georgia. His mom, Melissa Blair, died on April 22, 2017, thanks to an uninsured drunk driver. His dad has been on disability for a number of years and is unable to care for him. When a child’s parent is receiving Social Security disability benefits, the child can receive a child benefit. Consequently, Dylan has been receiving, for several years, a child benefit based on his dad’s disability benefit claim – not a big one mind you, but something. Dylan’s now living with Melissa’s cousin, Erin LeCour, and her husband Joseph. Both are police officers. Erin emailed me about Dylan’s situation and we spoke several times on the phone. Here’s what I learned. When Melissa died, Erin and the custodians of Melissa’s other three children visited Social Security’s Marietta, Georgia local office to report Melissa’s death. The Social Security agent with whom they met – Mr. Demario Williams – could not, according to Erin, have been nicer. Demario knew that Dylan could share in Social Security’s meager death benefit, split four ways. But he didn’t know if Dylan’s could receive more income based on his share of the child-survivor benefit available to survivors of deceased parents. He also knew, based on Erin’s statements at the meeting, that Dylan was receiving a child benefit on his dad’s work record. Demario told Erin that Dylan would, at a minimum, receive a quarter of Melissa’s meager $255 one-time death benefit. In August 2017, Dylan began to receive child-survivor benefit checks. These payments were in addition to the child benefit that Dylan was receiving based on his disabled father’s record. The child-survivor checks along with the child benefit continued to be paid for roughly one year. In May, Dylan received a letter, which Erin shared with me, from Social Security, addressed to Dylan, demanding repayment of $2,251 due to Social Security’s overpayment. This was not a formal lawsuit, but it came with a clear warning – pay our bill or we’ll stop your child benefit for all the months required for us to recover what you owe us. Here’s apparently what happened. Social Security far too often pays benefits to people by mistake. In this case, 6-year-old Dylan wasn’t supposed to receive a child survivor benefit based on his deceased mom’s work record. He was just supposed to receive the larger of the child benefit and the child survivor benefit, which was and is the child benefit. This was not Dylan’s fault in any way shape or form. 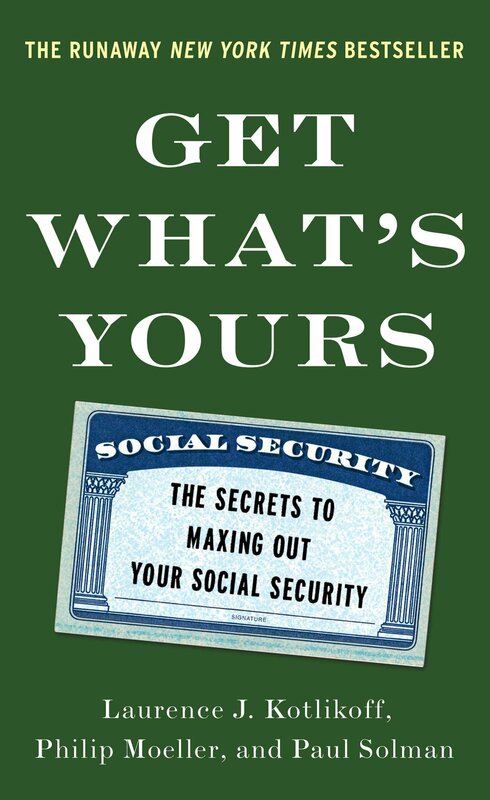 It was Social Security’s mistake in every way, shape and form. Yet Social Security has a rule – if it pays us benefits due to their mistake, it’s our mistake and we have to repay. Dylan is in absolutely no financial position to repay the $2,251. Neither are Erin and her husband. They assumed Dylan was due the additional payments and spent the money on him when it was received. Erin is appealing Social Security’s decision on Dylan’s behalf. Will Dylan win? Maybe not. The Social Security administrative judge may point to Erin and Joseph’s modest income and rule that Dylan receives enough support from them to repay their bill. But Erin and Robert aren’t in a position to hand $2,251 over to fix Social Security’s mistake. Let’s listen to Erin’s outrage over this situation. They’re basically telling me now, that I have to pay back his dead mother’s money from the past year because he’s not entitled to it?!? Simply because he gets something from his disabled father?! First of all, I had no idea he couldn’t get something from each parent. That’s Social Security’s job to know this. They had all the information! I wouldn’t even have known to ask if Dylan was eligible for something from both. It seems like child survivor benefits would be different than what he gets from his disabled and absent father. Can they do this? It is no fault of my own. They messed up. I keep looking and I still can’t find where a child can’t get something from both. I’m of course going to appeal and tell them this is their fault, not mine and if they want to stop Dylan’s mother’s death benefits, not only are they horrible people but, they can do it as of now but not to expect me to give them back any money. Again, this horrendous story is routine. I’ve been contacted by many people over the years who received what for them are major bills to reimburse Social Security for its mistakes. The worst case I’ve encountered was that of a disabled lady, who I’ll call Joan. Joan, who was confined to a wheel chair, decided to try to write a book (a children’s book) – one of the few things she could physically do. To Joan’s surprise, the book did well and she started receiving royalty checks – roughly $20,000 per year — for a number of years. Every year she contacted Social Security and asked if she could continue to receive Social Security disability benefits given her royalty income. Each time the Social Security officials told her that royalty income was different from labor income and does not trigger the system’s Earnings Test, which reduces one’s benefits 50 cents on the dollar for all earnings above a threshold. Ten years later, Joan received a $300,000 bill from Social Security demanding immediate repayment of benefits, which the Social Security Administration “incorrectly,” under its revised view, paid Joan over more than a decade. Social Security admitted in writing that they had told Joan that her royalty income wouldn’t trigger the system’s Earnings Test. But they claimed that Joan had transformed her royalty income into labor income by speaking about her book on several occasions at local libraries and similar locals. Joan pointed out that the talks weren’t compensated. Social Security said it didn’t matter. She had done something to encourage sales of her book. Joan, whose royalty income has dwindled to next to nothing and is back to surviving on her disability check, appealed her case through Social Security ‘s Kafkaesque appeals process. Finally, her case was reviewed by an Administrative judge who requested a number of documents, including Joan’s most recent cable bill. 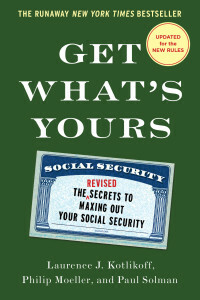 The judge ruled that Social Security had made mistake after mistake, but those mistakes were Joan’s because by law, if you spend money Social Security mistakenly gives you, even if it repeatedly told you it was yours to spend, you should have known you were being told the wrong thing and returned the money. We’re talking, of course, about a system with hundreds of thousands of rules in its Program Operations Manual, which no one can possibly master unless they spend years studying them. But there is a basis for a Social Security judge (Yes, the system has its own judges.) to absolve you of Social Security’s mistakes – namely hardship. Joan is definitely living a life of extreme hardship, trying to get by on her modest monthly disability check. But Joan likes to watch TV, which is her main source of company and entertainment. Consequently, she did choose and is paying for a good cable plan. The judge, in his written ruling, which I read, denied Joan’s appeal specifically on the basis of her cable plan being too expensive for someone living in hardship. I kid you not. No wonder we have so many people in our country who hate the government. This article appeared on June 29 on the Forbes website. Laurence Kotlikoff is a William Fairfield Warren Professor at Boston University, a Professor of Economics at Boston University, a Fellow of the American Academy of Arts and Sciences, a Fellow of the Econometric Society, a Research Associate of the National Bureau of Economic Research, President of Economic Security Planning, Inc., a company specializing in financial planning software, and the Director of the Fiscal Analysis Center.